Did you find this video helpful? If you did, you should definitely subscribe to my YouTube channel! I’ll be posting a video every other Sunday with tips and advice for planning your wedding. The alternating Sundays will feature blog posts right here on my website with more information. 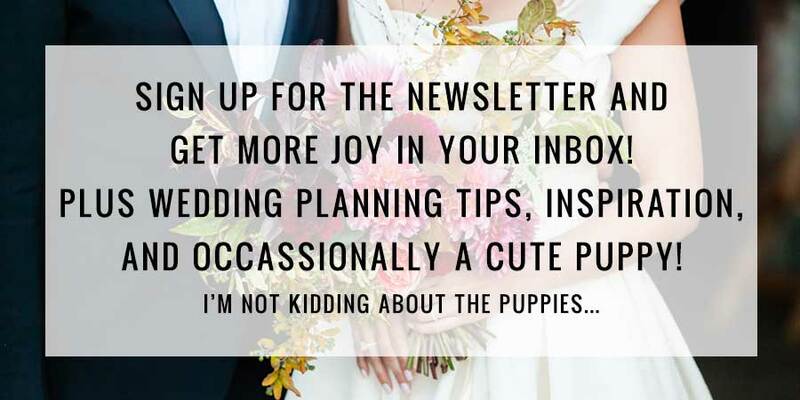 You can come back and check them out, but it would be easier to sign up for my newsletter and get it all delivered to your inbox once a month!